Well last weeks Waste Management Phoenix Open was a fun one with a thrilling way to end. There were so many potential winners on that final day and we had one potential one in Matt Kuchar. Unfortunately Kuch came tied for 5th and with dead heat rules the return wasn’t so good. Pity that as he had really showed up on round 3 with a 64. That bogey on the 17th was brutal. Have to feel bad for Reavie too who had performed so well only to lose it in the playoff. 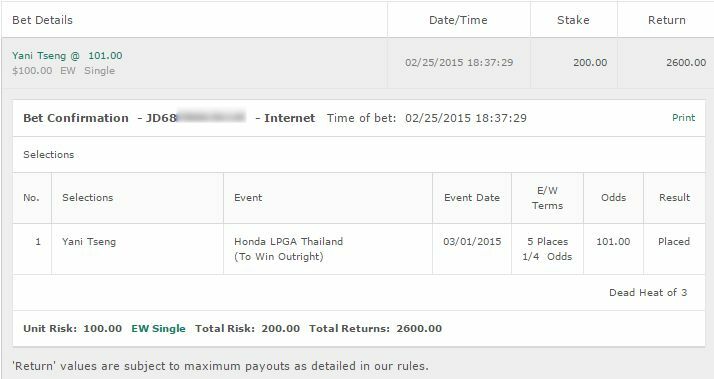 That was pretty nice to keep consistent cashes going at least – a cash every week this year so far! Despite winning here last year, with his current form Spieth is 12/1. A very top heavy field here with the odds. Course form is a factor here as well as just overall skill and really just participation over the years and getting used to the format can help. This is a tricky one as I want to back Rahm but his odds just aren’t worth it. Always frustrating that. 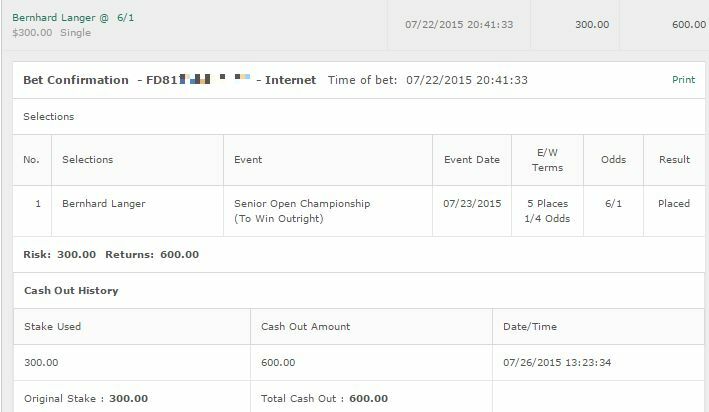 Jordan Spieth: 1/2 unit to win. He’s at that price range where regardless of form I feel it’s +EV to back him. 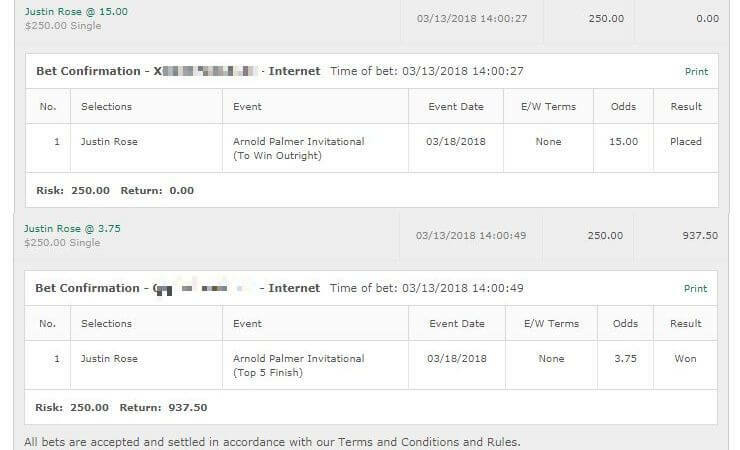 In saying that you may only want to bet 1/4 unit – it was a big bucket list thing for him winning here so who knows if he’ll be motivated or not. Chesson Hadley: I actually wanted to back Hadley last week at 100/1 but couldn’t pull the trigger and he ended up 5th. Frustrating. He suits up well for Pebble Beach and has experience here and when he’s on form he’s on form. Hell even when he’s not on form he performs well here(5 cuts in a row then 10th in 2014, 2 cuts in a row then 10th in 2015) so I’m fine with 1/4 unit to win & E/W. Phil Mickelson: Won previously here obviously and I loved his form last week. It’s always tricky backing Phil these days as it’s one of those bets that always look better on paper. But I’m good with 1/4 unit to win & E/W. Rumford isn’t on form at the moment but screw it – 1/4 unit to win & E/W. For this tournament it’s such a tricky one to actually handicap and I just go with a few random bets and hope for the best with the combo of stroke & match play. All 1/4 unit to win & E/W. I’m taking 1/4 unit bet on Esteban Toledo to win & E/W, and 1/4 unit bets on David Toms and Scott McCarron both to win.